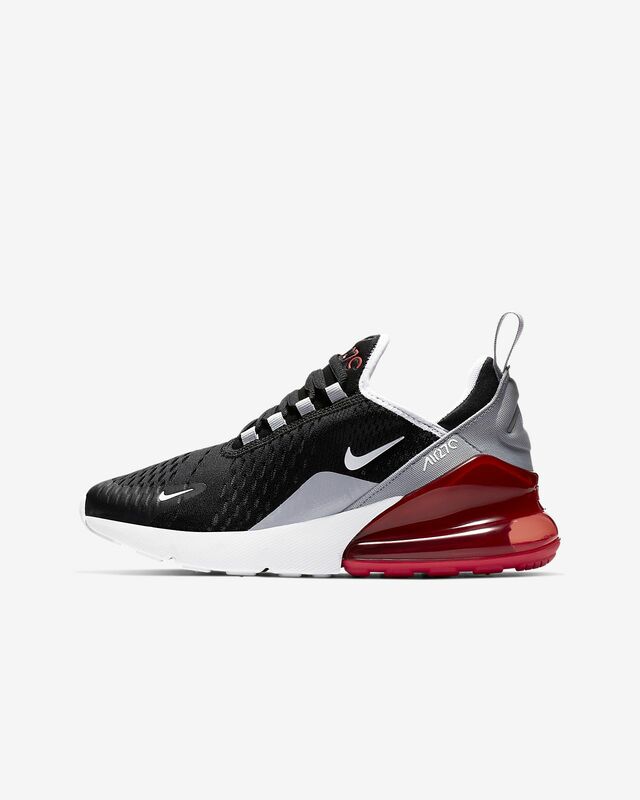 The Nike Air Max 270 Big Kids' Shoe is inspired by two icons of Air: the Air Max 180 and Air Max 93. It features Nike's biggest heel Air unit yet for a super-soft ride that feels as impossible as it looks. 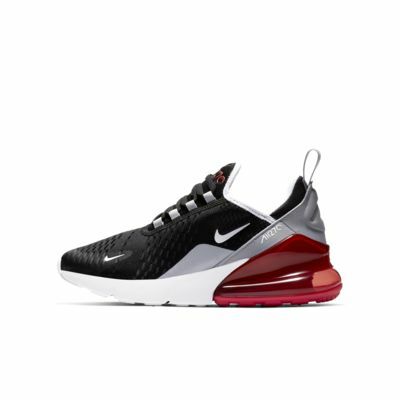 The Nike Air Max 270 Big Kids&apos; Shoe is inspired by two icons of Air: the Air Max 180 and Air Max 93. It features Nike&apos;s biggest heel Air unit yet for a super-soft ride that feels as impossible as it looks. Runs small. Order half size up!! Just keep that in mind. The shoes performance is great overall. An all around good shoe fit me jus right so complaining on my wnd.